Kia motors has once again set up shop in Malibu California for the month of July. And here’s a secret you can too! Ok so maybe you live in Michigan (details), it doesn’t mean you can’t take some tips from one of the summer’s hottest beach house destinations and apply them to your summer getaway destination. 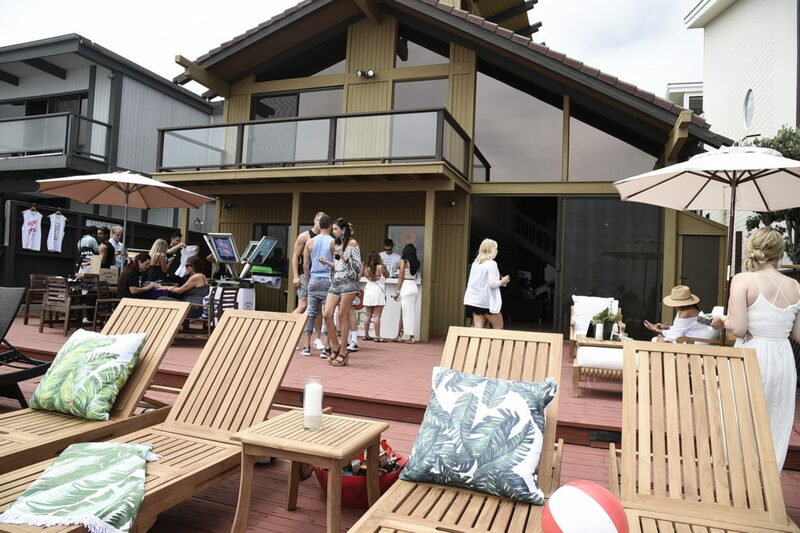 Hosted by Morgan Stewart and Josh Peck, Kia kicked off their ultimate beach house destination by having guests styled by Joico’s celeb stylist Paul Norton who created fun beachy waves or braids and spruced them up with Joico’s latest Insta-Tint color line. Insta-Tint is just how it sounds: fun and colorful hair colors; you spray in and wash out. No permanent color will be kept in your hair, but makes for the perfect pop to sport during your summer getaway. Guests were also treated to mani’s by PRIV and made specialty printed T-Shirts with Sil screen stands thanks to AMSCO. American Supply Co. is an awesome SoCal brand which creates the softest t’s and are affordable and wearable all year round. Teva was also on hand giving away Teva’s for guests with the added bonus of being able to bedazzle them to best fit your style. STK curated the perfect beach menu with create your own tacos and bite size subs, while POPchips supplied the snacks. SupraFruta sangria kept guests hydrated and PRIV kept everyone relaxed with their expert masseuse. SupraFruta its Sangria and you don’t have to spend hours making it. AMSCO order your favorite t’s off their site and make sure you pick fav’s your guests will love. PRIV! Treat your friends and order one or more of their expert manicurists or masseuses to join in and give your guests a real treat. Besides the more friends who join the more referral codes you gave which help you save $.